We’re so excited about this Twitter Party tomorrow night! You know we adore Jill Martin!! And we adore handbags!! And we adore QVC!! This is a match made in heaven!! Jill Martin is the Creative Director of G.I.L.I. 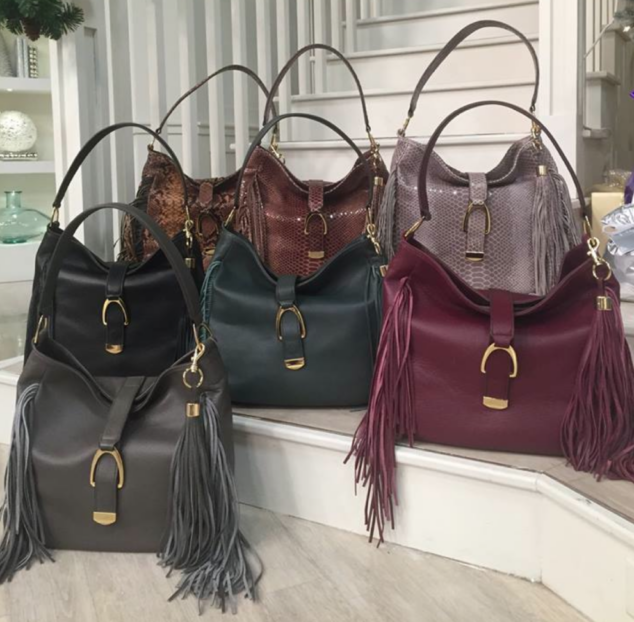 (Got It Love It) at QVC and she will be on QVC throughout the day tomorrow featuring the gorgeous G.I.L.I Leather Stirrup Hobo Bag with Fringe!! Skillfully crafted in luxurious leather with meticulous attention to detail, this free-spirited G.I.L.I. hobo bag is an ideal companion for the high-style adventure you crave. Based on a best-selling silhouette, this slouchy hobo gets a fashion-forward update with cascading fringe on either side, plus goldtone hardware throughout. The coordinating stirrup with hidden magnetic closure allows for easy access to all your essentials. Plus, it’s outfitted with a single handle, which can be draped across your arm or flung over the shoulder for an effortlessly cool and carefree appearance. Offered in a variety of colors, this well-appointed handbag combines the sophistication you love with the thrill of the unexpected. Here’s what’s exciting about tomorrow’s party… you can tweet with us and tune in live to QVC and see Jill Martin! We will be tweeting from 10-11PM (EST) hour while Jill is ON AIR at 10:30PM(ET) and just having a ton of fun!